I’m noticing more than a few folks are demanding we leave the likes of David Hogg, Cameron Kasky and Emma Gonzalez alone. The argument generally goes something like this: they’re just kids who’ve experienced a horrible trauma, and their spewing venom on cable TV and Twitter is just part of the grieving process for them. I have no doubt that these kids need to grieve. I have no doubt the experience at Parkland on Valentine’s Day was traumatic. I have no doubt their emotions are still all over the place and on edge. But here’s the thing: they injected themselves into the political fray, and did so in a way that was intended to provoke. Whether or not the idea of banning guns was their own, a thought planted by the liberal environment where they’ve been raised, a line of attack suggested by their media handlers, or a combination of some or all of those factors, the fact remains that they opted to become the face and voice of the far left’s attempt to overturn a pillar of American society. They have not attempted to engage in debate. In fact, they’ve run from actual debate to simply spew invective at anyone who doesn’t share their belief that banning firearms will solve the problem of violent assault in this country. They have been challenged, even by their own classmates, to debate the topic on the merits. To offer a cogent argument in defense of their opinion. Yet time and again, they’ve refused and responded instead by offering streams of profanity-laced invective. These kids are not typical teens. They are drama students, who have learned in class how to evoke emotions in others, and had that craft further honed by their coterie of media handlers. They are members of the 1%, both in income and family status (how else did you think they appeared on TV so fast?). In short, these kids have been raised to believe they are better than the average American; that they are destined to lead the rest of us – whether it be to a better future or off a cliff. So please, spare me the sanctimony. These kids injected themselves into a full-blown attack on the Second Amendment. They did so willingly, of their own accord and with the full blessing of their elders, who are supposed to have their best interests at heart. Yet, we’ve heard virtually nothing from those elders, except for the elder Mr. Kasky occasionally parroting liberal talking points on Twitter. Not only have they dived into the political fray, they’ve done so by copying the Hillary Clinton playbook. Rather than looking to engage proactively with the rest of us, they’ve adopted the same condescending attitude that sank Mrs. Clinton’s candidacy. They speak of democracy, but they are all about talking down to the little people. Just as Mrs. Clinton saw fit to declare anyone who refused to be brainwashed by her abundant charm as “deplorable,” the Parkland activists have labeled those who support our Constitution as “child killers.” It may win them plaudits from the liberals on MSNBC and CNN. It simply makes everyone else regard them with equal ridicule. If you want to blame anyone for their being subjected to internecine political battles, blame their parents, their teachers, and the media companies that have put them front and center. Tell them to give the kids time to grieve properly. Tell them to get the kids actual grief counselors, not cable news hosts, to whom they can pour out their emotions and guide them back to sanity. Until then, as Von Clausewitz observed, “politics is war by other means.” As long as they remain engaged, they are fair game. And that’s how it should be. This past week, two seemingly unrelated events occurred that brought the 18th century to life in our modern age. Unless you are completely unaware (and if you are, I doubt you would bother to read this), Saturday was the “March for Our Lives,” the highly contrived display of juveniles calling for an end to an essential freedom. But earlier in the week, an Uber autonomous taxi struck and killed a pedestrian. Later reports laid the blame on the pedestrian, but that didn’t stop government from forcing every company testing autonomous driving technology to pull their vehicles off public roads. What Franklin and the other Founder’s understood is there is a dynamic tension between safety and liberty. The reality is that they cannot perfectly coexist, and so the question is about how to set the dynamic to serve the most good. Think on it for a moment, and you’ll realize the two are polar opposites. Any society that promises absolute safety for it’s citizens offers no liberties, not even within the confines of the home. Conversely, the society that offers unlimited freedom has nothing in the way of societal protections. What those wise old men created was a system that separated a subset of freedoms from everything else, and referred to them as “essential liberties.” They considered them essential for the simple reason that these freedoms guarantee every other human liberty. Among those considered absolutely necessary are the freedom from unwarranted government intrusion into an individual’s life and incarceration without first being tried by one’s peers, the right to peaceably assemble and address the government’s representatives, the right to worship and the right to defend oneself against the government, by force of arms if necessary. They packaged the essential liberties into the Bill of Rights – something the anti-federalists* demanded in order to secure their votes for ratification of the new Constitution. What wasn’t mentioned, in the Constitution, the Articles of Confederation or the Declaration of Independence was the idea of a personal safety. Personal safety was generally accepted as an individual responsibility in the new republic. Generally, but not universally. There have always been those who believe the duty of government is not the assurance of liberty, but dedication to protection from danger. While the nation was founded by, and throughout our history has rewarded risk takers, those who are risk averse have also made their homes among us. As the nation has aged, our society has reached agreement that certain personal liberties could be exchanged for government assurances of a sort of communal safety. Big Brother might not be watching your every move, but he’ll watch enough to make certain that some actions are prevented (or at least punished). This brings me back to Franklin, Uber and the “#MarchForOurLives.” While Poor Richard might have been bemused at the idea of the government regulating transportation companies to this extent, he would have been willing to go along. After all, transportation is not an essential liberty. The government could ban all mechanized modes of getting about tomorrow as being inherently unsafe (and a glance at NTSB statistics will tell you just how unsafe they remain, despite government’s best attempts at making them safe), but you could still figure out a way to get from point A to B. However, Ben would have taken umbrage at Saturday’s connived attempt to toss away one of those essential liberties, the right (and to many of the founders, the responsibility** of all citizens) to own firearms. I understand this concept is alien to the children who participated who, with the surety only born from the ignorance of youth, believe any idea older than they is ancient and outdated. It certainly is not alien to the people of Think Progress and the other left wing organizations that organized the protest. Indeed, removing it from the pantheon of essential liberties has been a goal of theirs from the beginning of the progressive movement, because they understand it is that which undergirds the individual’s ability to ensure his ability to exercise any of the others. -That whenever any Form of Government becomes destructive of these ends, it is the Right of the People to alter or to abolish it, and to institute new Government. This was the American Declaration of Independence, which stated the case that government does not exist to provide for personal safety, and that the duty of all people when confronted with a government that places benevolent tyranny ahead of individual liberty is to overthrow that government – by force, if necessary. That is the Pandora’s box they are toying with. Beware opening the lid. You won’t like what you find inside. *For those of you not well versed in US history, the anti-federalists were Americans who opposed the adoption of the Constitution. Indeed, they opposed the idea of any strong government that could bind the individual states into a permanent union. Among their number were such notables as Patrick Henry, Samuel Adams and James Monroe. The gun grabbers are out in fo rce. Yes, there was another shooting on a school campus. Yes, the gun used was legally obtained. Yes, it shows that for all the attempts to date to restrict gun ownership, bad guys can still get their hands on firearms. Rather than admit the folly of their attempts to prevent Americans from owning a weapon, the gun grabbers are doubling down on their attempts to take weapons away. They’re doing this, despite admissions that none of their proposals would have prevented the most recent tragedies. Once again, though, they are making an emotional appeal: “Guns are evil” they cry. “Why do gun owners need these guns?” they ask. Once again, the left wing is out to deny Americans a God-given, Constitutionally guaranteed right, all in the name of saving us from ourselves. The arguments they’re using are no different than the ones they’ve trotted out to try and deny us the ability to purchase a 32 ounce soda, a juicy prime rib or a McDonald’s Happy Meal. The offending item is bad for you, ergo, it should be banned! Here’s the thing we seem to have forgotten in liberal land: the government shouldn’t be the instrument that restricts anyone’s right to ownership of anything. The Constitution was written with three goals in mind: First, to ensure the federal government could pay the bills. Second, to provide a way for the states to work out their differences. Finally, and perhaps most important, to ensure the individual liberties that all Americans enjoy. It’s this final point that has been slowly eroded, in the name of “responsible governance”. That’s code for protecting us from ourselves. Should the Founders come to visit us today, undoubtedly they would be shocked. Shocked by the sheer number of regulations and laws to which we have willingly subjected ourselves. Shocked that the American character is no longer identified by self-reliance and responsibility. They would doubtless be amazed by their descendants willingness to cede rights for which they fought and died to the federal government. This is the sad state to which we’ve arrived. This latest tragedy is a perfect example. The gunman’s own parents continuously abdicated their responsibility, not only to their son, but to their fellow citizens. Why? Both parents were well aware of their son’s propensity to violence and his mental health issues. Yet, his mother kept those weapons in the house and his father had the temerity to suggest that the government failed – by not having stricter gun laws, by not institutionalizing his son. One has to ask, if the father had been more than a sperm donor, would the son have been so screwed up? If the mother had said, “gee, my son has some serious issues – maybe I should store my weapons elsewhere” would he have had access? But nobody seems to be asking those questions. A little responsibility would go further towards preventing not only this tragedy, but the vast majority of these incidents. Nope, it’s far easier to say we have to “do something.” We have to take away your guns, because some people are irresponsible. Your rights are abridged because I need a political soundbite, even though I know that even outright confiscation of private weapons won’t stop the madness. Not quite 24 hours ago, America witnessed another maniac venting his anger at unarmed students. The President would have you believe the cure for this is more restrictions on gun ownership, a bigger police state and further curtailing of Constitutionally guaranteed freedoms. I suppose now that his time as would-be king is coming to an end, he feels pressure to enact one more nation changing agenda. Let’s not forget, this is the same guy, who in 2008, declared that Americans are “bitter” and we insist on “clinging” to our guns and religion. Since assuming office, he’s engaged in virtual warfare on the religion front. His attempts to to do so on the guns front have largely been stymied, but Obama is a true believer in never letting a good tragedy go to waste. He attempted to politicize tragedy after Newtown. Yesterday, before the blood had even dried on the pavement and before anyone knew who the shooter or his possible motivation might be, he took to his podium and declared open war on any American who does not believe in the saintliness of government intrusion. What the President, and the rest of the progressive sycophants, fail to understand is that it is their undermining of American culture that is primarily responsible for these tragedies. The problem isn’t that criminals have guns. The problem is that law-abiding citizens do not have guns, nor are they properly trained in their use. UCC is a “gun-free” zone, meaning that any law-abiding citizen who owns a weapon cannot bring it onto campus. Of course, those with bad intent never worry about bringing along their weapons to further their heinous agendas. Net result: bad guys 22, good guys 0. Now, let’s stop to consider the alternative. Suppose even one student, teacher, or administrator had been properly armed and trained. Suppose, instead of giving the lone security guard on campus a radio, he had a sidearm. The police response, after the 911 call, took less than 5 minutes. That’s an exceptional response (here in my little corner of liberal land, the police generally take about ten minutes to respond) and I commend the local law enforcement folks for it. However, that’s 5 minutes of shooting that would not have happened, had an armed response been available on campus. More gun control is not the answer, for two reasons the President and his minions would need to crawl out of the ivory tower to understand. First, the most recent shooting incidents were perpetrated by people who had passed the background checks needed to legally purchase firearms. That means, quite frankly, that the intended purpose of the gun control laws we have (preventing criminals from buying guns) are a complete failure. Of course, the real push isn’t for making guns harder to get, but outlawing them entirely. Which brings us to the second point: you can’t prevent criminals from obtaining weapons by making the legal purchase of said weapons illegal. I live in one of those states that has ridiculously restrictive laws on gun ownership. Here in the Garden State, to legally purchase a firearm, I not only need to pass the FBI background check, but I’m restricted as to who can sell me said weapon, who can sell me ammunition for said firearm and who I can sell said firearm to should I decide I no longer want it. Obtaining a CCW permit is virtually impossible; even OCW permits are hard to come by. In order to transport my weapon, the state requires me to unload the weapon, place it into a locked box and then put that box in the trunk of my car. I also happen to live in a city that places further restrictions on my weapons: I’m supposed to keep them in a gun safe, unloaded, with the ammunition stored in a separate location. Yet despite all of these restrictions, Newark suffered 4 more shootings last night (fortunately no one died), including a police officer being shot. Last year, 112 people were murdered in Newark; that’s ten times the national average murder rate. Or to put it another way, despite gun laws that all but prohibit gun ownership, you are ten times as likely to be murdered in Newark as you are anywhere else in the country. Know why? Because I can buy a weapon on the same corner I buy my milk, and almost as easily. $150 will get me a 9mm with two loaded, 12 round magazines. For comparison, that same setup would run me around $700 in a gun shop. Who has an easier time buying guns, the criminal or the lawful purchaser? The problem isn’t guns or gun control – or even gun confiscation (and that is, after all, the final progressive aim). The problem lies in that we cannot know who truly has evil in their heart. No background check will tell us. Nor can you prevent those who intend harm from getting a weapon. So, if you’re truly outraged by the violence, standing at a podium and railing at law-abiding Americans exercising their rights isn’t the way to do it. Instead, urge every law-abiding American to go purchase a weapon, learn how to use it and learn how to defend themselves. There is one thing I do know: the President has waged war on religion; resulting in an amoral society. And we’re going to see even more of these mass killings because of it. I penned the following letter to the Honorable Christopher Christie, Governor of the State of New Jersey. I thought all of you might want to read it, as well. I am writing to bring your attention to the case of MGySgt Richard Zahn (retired), USMC. I consider it probable that you are personally unaware of his situation, otherwise I cannot believe you would allow him to be in his current circumstances. MGySgt Zahn is currently incarcerated at the Bergen County Jail, having been convicted of several weapons offenses. Yet, the conviction and offenses are related to his defending himself from a known member of the Latin Kings street gang while in New Jersey to visit his ailing (since deceased) mother. His weapon was never discharged, and in point of fact, his actions that day led to a de-escalation of what would have otherwise been a tragic and lethal encounter. MGySgt Zahn has served this nation with distinction for nearly 40 years. In his 26 years as an active duty Marine, he deployed into combat on 5 occassions and earned more commendations than can be listed here. They include two Purple Hearts for combat injuries and a Bronze Star. Since his retirement, MGySgt Zahn worked with Homeland Security, training FBI agents and other LEOs (including our own State Police) in anti-terrorism tactics and techniques. For his efforts and success in this work, he received a personal commendation from Louis Freeh. He has also received personal letters of commendation from the Commandant of the Marine Corps (and Chairman of the Joint Chiefs) Gen. James Dunford and Gen. James Mattis, former commander of USCentCom. Given your strong positions against terrorism and the threats it poses to our nation, I’m certain you are aware that anyone receiving these types of personal commendations cannot be someone of poor character, or someone who is given to making rash and impetuous decisons that would risk public safety. That MGySgt Zahn is sitting behind bars for simply doing as he was trained – and has trained others – to do is a miscarriage of justice. Worse, it’s an affront to every law abiding citizen in the United States. Further, I know as a former prosecutor, once you’ve reviewed his case you’ll be left to wonder why (as have many thousands of citizens around the country) it was ever brought to trial. You might also want to note that his case is beginning to receive national attention. The kind of attention that is not doing our state’s reputation any good. Do the right and honorable thing, Governor. Pardon MGySgt Zahn and have him released today. Once again, if you haven’t signed the petition demanding Chris Christie pardon Rich Zahn, you can find it here. Please do so soon. The more pressure we bring to bear on the Governor, the better. 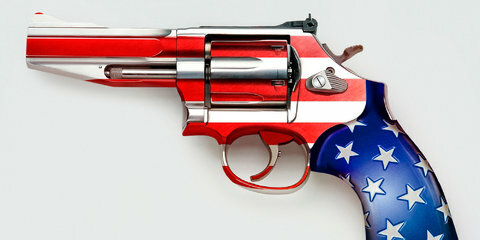 That any man should sit behind bars in these United States simply because he uses a weapon to defend himself is insane. If that person happens to be a true American hero, like Rich Zahn, and we do nothing to defend him, then we shouldn’t be able to look at ourselves in the mirror. No Right to Self Defense? Yesterday, I brought you the story of Master Gunnery Sergeant (retired) Richard Zahn and his ridiculous imprisonment, all because an overzealous prosecutor, a soviet-style liberal judge and the New Jersey legislature’s paranoia about guns formed into a perfect storm around his case. Many of you have reached out in support of Rich Zahn, and for that I thank you. But one person sent me this link and my sense of bewilderment and outrage got sparked all over again. Both men are combat veterans and career military. Both men found themselves in unwanted, potentially lethal situations. Both men used a licensed firearm to defend themselves. Both men found themselves victimized twice, first by their attacker and later by misguided anti-gun laws. Here’s a synopsis of Michael’s story. In 2010, he and some friends went to a bar in the Tampa area. Two rival fraternities were also at that bar and a brawl broke out between them. Michael and his friends left the bar but became separated in the melee, at which point Michael retrieved his weapon from their vehicle. As he turned to look for his friends, he found himself in a crowd of approximately 40 brawling men. Somebody hit him from behind, knocking him to the ground and as they were getting ready to follow-up the assault, Michael fired once, striking him in the leg. None of this is in dispute. During his trial, even his assailant admitted to an unprovoked attack with intent to do Michael serious bodily harm. It’s a clear cut case of self defense, or at least it should be. Except, he used a firearm – and the prosecutor flat-out said that was the crime. In fact, the prosecutor tried to make the case that because Michael used a firearm to defend himself, he was guilty of attempted murder. I do not know the prosecutor’s motivation in making that charge. Perhaps he thinks all career military types are capable of defeating 40 angry, drunk brawlers with their bare-hands. Maybe he thinks Michael received some sort of specialized training from Chuck Norris. It could be he thought, being in the Air Force, Michael could call in a flight of A-10’s to quell the mini-riot. But here’s what I do know. Michael Giles used a firearm to defend himself and is now spending 25 years behind bars. Richard Zahn used a firearm to defend himself and is now spending 5 years behind bars. The linkage is unmistakable: if you dare to assert your Second Amendment rights, expect some liberal in the criminal justice system to hammer you like a nail. In wacky liberal land, the only thing worse than a gun is the person who actually uses a gun to defend themselves or others. Better you should be a rotting corpse on a slab, I suppose. That these two outstanding citizens are facing this nightmare is what the insanity of the left is doing to our country, and it’s time we put an end to it. So what can you do? First, let’s get these guys out of prison. If you haven’t signed Rich Zahn’s petition yet, you can find it here. And you can find Michael Giles’ here. Next, it’s time to get rid of these ridiculous anti-gun laws that turn law-abiding citizens into criminals, simply because they dare to defend themselves. These two cases give us two places to start, New Jersey and Florida. As luck would have it, these also are two states that have governors seeking national prominence and who claim to be staunch conservatives. I say it’s time to put them to the test. Write, call, organize protests at the state house steps. Let’s let Chris Christie and Rick Scott know that the time for talk is over. It’s time to actually do something. And in the meantime, they can use their executive powers to let two unjustly convicted comabt veterans go home to their families. February 24, 2014. Hackensack, NJ. A relatively quiet town in the Garden State. A highly decorated combat veteran of three tours in Iraq and Afghanistan, along with Kosovo and Kuwait, driving from his current home in North Carolina to visit his extremely ill mother at Hackensack University Medical Center. Little did he know that he was about to become a victim – not of a crime, but of New Jersey’s draconian and antiquated anti-gun laws. MGySgt Richard Zahn served for 26 years in the US Marine Corps, earning a Bronze Star and two Purple Hearts. After retiring, Rich worked as a civilian contractor for Homeland Security. His job? Training FBI agents and young Marine leaders in anti-terrorism tactics. Rich also possesses a concealed carry permit in North Carolina. In addition to his military honors, he’s also received personal commendations from General James Dunford, Commandant of the Marine Corps and Chairman of the Joint Chiefs of Staff (select); General James Mattis, former US Central Command commander and Louis Freeh, former Director of the FBI. None of that would matter at 9:30 that morning, though. After receiving the call about his mother’s turn for the worse the night before, Rich was nearing the end of his 10 hour drive to be with her. Since he had just finished a live a fire exercise right before receiving the call, he still had his TO weapons in his truck: a .306 sniper rifle and AR-15. As is his custom, he also carried his legally licensed sidearm, a M&P .40 caliber pistol (he is on Al-Qeada’s hit list, after all). As he rounded a bend in the road, a SUV suddenly veered in front of him – and Richard Zahn’s day was about to get much, much worse. The SUV was driven by one Jorge Polo, a previously convicted and known member of the Latin Kings street gang. Polo forced Rich off the road and began approaching Rich’s truck. Reacting in accordance with his training and experience, Rich produced his sidearm – finger off the trigger-guard, weapon up and away from his assailant. When Polo continued his advance, Rich reached into his truck and grabbed his .306, again pointing the weapon up and away from any target. At that point, Polo realized he had bitten off more than he could chew, clambered back into his car and drove off. Rich, thinking nothing more than that he was glad he had left New Jersey and it’s crazy drivers years ago, continued on to visit his mother in the hospital. You can read more about the incident at Allen West’s blog. That’s where he was arrested by the Hackensack Police Department, for having illegal and unlawful weapons, transporting “assault weapons” across state lines, and two counts of brandishing a firearm in a threatening manner. Right outside his mother’s hospital room, the Hackensack police made every effort to ensure that the ever dangerous criminal MGySgt Richard Zahn was quickly taken into custody, thereby protecting the citizens of the Garden State from a twice wounded combat veteran. That’s right. Hide the women and children – a combat veteran might be in your midst! They kill people for no reason! That such pure left wing dreck could actually occupy a Superior Court bench in the United States is a topic for another time, though. That’s the story of what happened, Now for your chance to change the ending to this tale, help free a Marine guilty of nothing more than defending himself and – HEAVEN FORBID! – owning a US Constitutionally allowed gun. This past week, Rich’s lawyer exhausted his last appeal to get the sentence overturned. 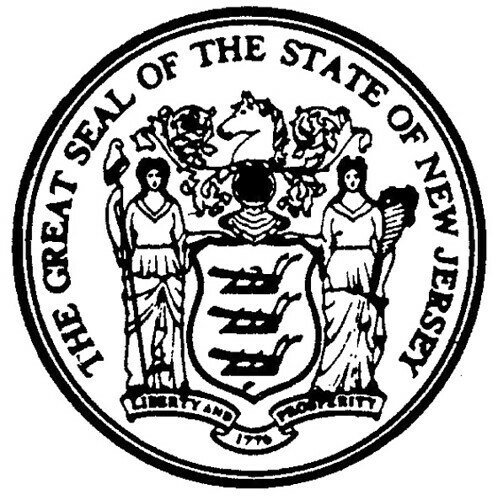 As you’re probably aware, the Governor of New Jersey is the honorable Christopher J. Christie, potential Republican nominee for President of the United States. Recently, Gov. Christie pardoned a woman from Philadelphia in a similar case. It certainly seems if Chris Christie can find reason to pardon a welfare mother from Philly for having a firearm in her vehicle, he can do the same for decorated combat Marine veteran. Especially if he wants to be taken seriously as a candidate in the Republican primary. There is currently a petition circulating, asking Chris Christie to pardon Richard Zahn. All I am asking of you is to review the facts of this case as described here (they are not disputed by anyone) and then take two minutes of your time to sign the petition. You can find it here. And Governor Christie? We’ll be watching. Don’t make Rich Zahn wait for justice any longer.